This summer, Tom Cruise takes on the worst evil imaginable in The Mummy and we have an awesome photo that teases the intense showdown between his character & Sofia Boutella’s titular monster! 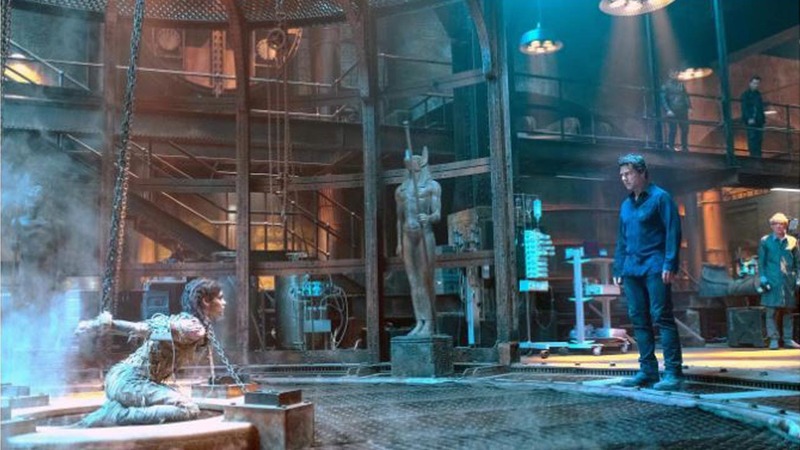 As part of their summer movie preview, Entertainment Weekly has released a new photo from Universal Pictures’ The Mummy featuring a very intense staredown between Tom Cruise’s recently resurrected Nick Morton and Sofia Boutella’s recently awakened monster, in what looks to be an underground prison in Prodigium. As for the larger Monsters universe, Kurtzman promises his film won’t attempt to rush the process and will instead allow the universe to develop organically. “The movie’s called The Mummy, not The Mummy Meets 12 Other Monsters… If we create a world that feels interesting and scary, then we will have succeeded in setting up the larger universe.” Sounds good to me.